I've just purchased my tickets for my annual summer trip to Vegas. Trust me, if NBA Summer League was at a different time of year I'd be all for it, but it's not, so I work around it and try to drink as much water as possible. As you know, I like to find new and fun things to do, that are both cheap and tasty. 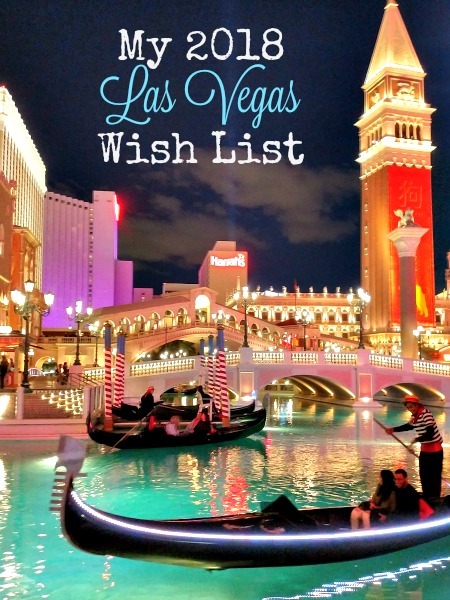 Because this will be my 7th trip in 3 years, it can be hard to find new things, but as the city is always changing and I don't know all the secrets to Sin City (and definitely not Henderson), there are plenty of things for me to add to a wish list for this next trip. Amazingly, it consists of more than extra sunscreen and Columbia clothes to pack my bag with. Even in the middle of the desert, I still think coffee is the blood of life. It might be 119° outside, but that doesn't mean I can't enjoy a good latte. 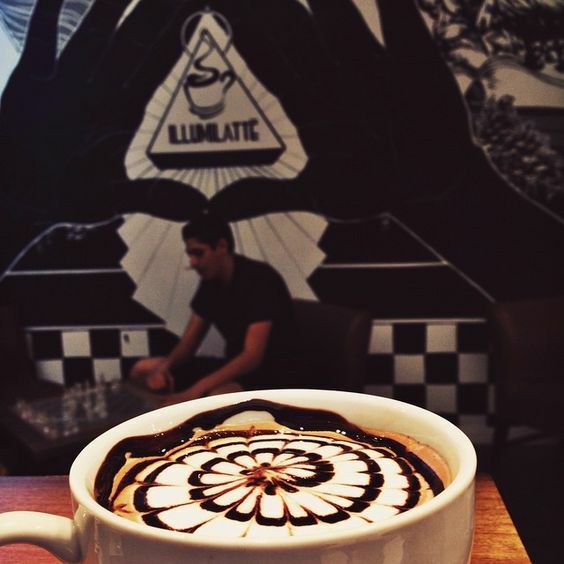 On he way back to our timeshare from dinner one night, I glimpsed a cleverly-named coffee shop: Illumilatte Brewing Society. Not one to pass up a good cup of Joe, I immediately made a note to check it out and the reviews are quite good, so this is #2 on my list of coffee shops, as #1 is the new Bad Owl Coffee location opening in S. Vegas and trying their new fancy toast (not avocado tyvm) and their espresso flight in Hogwarts house colors. I know it's going to be stupid hot outside, but that doesn't mean a good jaunt out to the desert in the early-ish morning hours can't be fun. 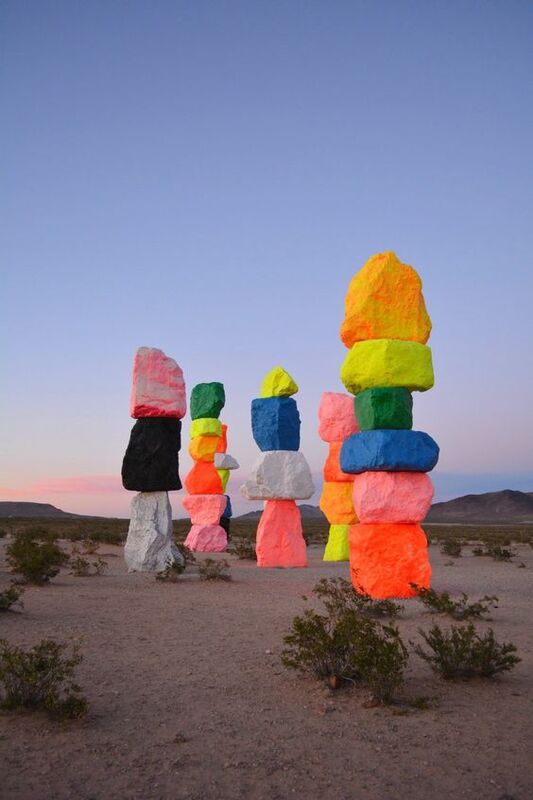 This limited-time art installation, entitled Seven Magic Mountains may just be some pretty colored rocks in the middle of nowhere (honestly, it's only 10 miles from town), but it's free, it's cool, and I'd love to visit and take some fantastic pictures before we all head to a lovely breakfast. If you're one of the few who haven't seen the beauty (and horror) of the cotton candy burrito, here you go. You're welcome! It's horrible and wonderful looking all and once and I must have it. Creamberry LV has added this abomination to their menu full of other such terrible treats, including cookie shots filled with coffee/cocoa/milk, puffle cones, and rolled ice cream "tacos". Honestly, it all looks equally delicious and tooth-rotting, and you'll be seeing some fabulous drool-inducing pics fromme. Each season, the magical horticulturalists of the Bellagio create an awe-inspiring tribute to flowers and plants with a different theme. 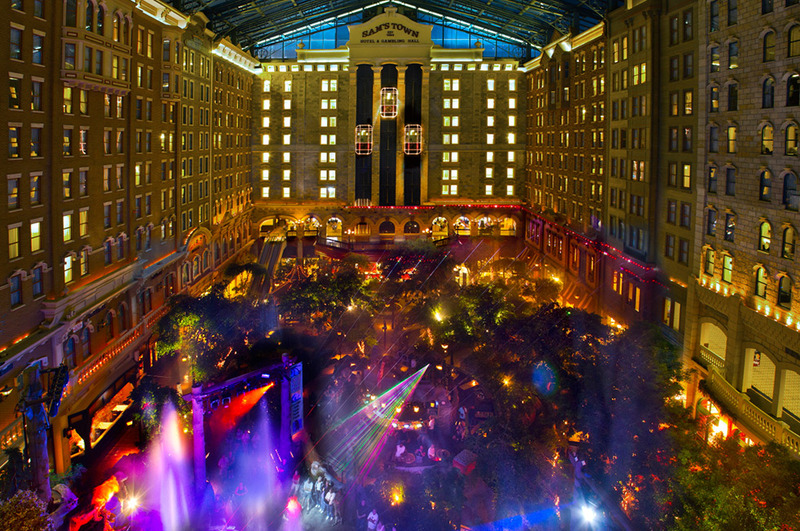 The Bellagio Conservatory is large and bright and totally free. It's open 24-hours a day and any time is a good time to see what has been created from different plants. Often there are fish in the pond and sometimes birds in an aviary, but it's always spectacular. 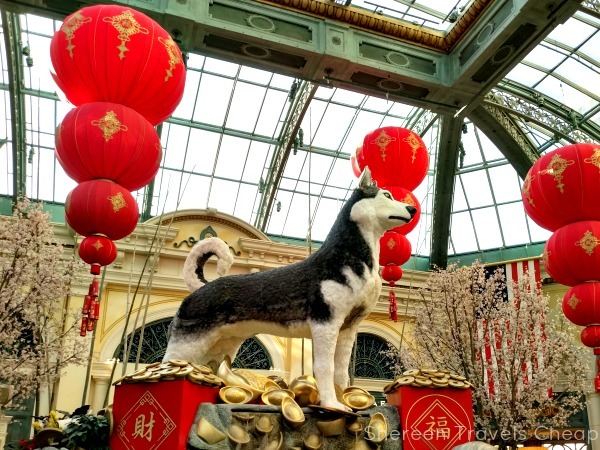 Above is a picture I took from my last visit that was themed for The Year of the Dog of the Chinese New Year. 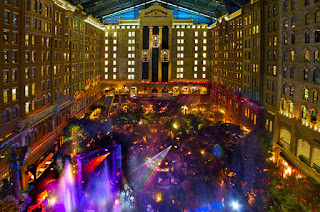 At certain days and times they also host live performances, though I have somehow always missed them. In my quest to find new things that I've missed in the past, I discovered that Sam's Town Hotel & Gambling Hall has daily laser light shows in what they call the Mystic Falls Park. It's completely free and I love that inside looks like outside...and there's also a TGI Friday's on the premises, which I will never say no to. I'm a big fan of factory tours. I like to see how and where things are made. It's cool to me, so when I learned about Anderson Dairy and their free self-guided tours, I, of course, wanted to learn more. 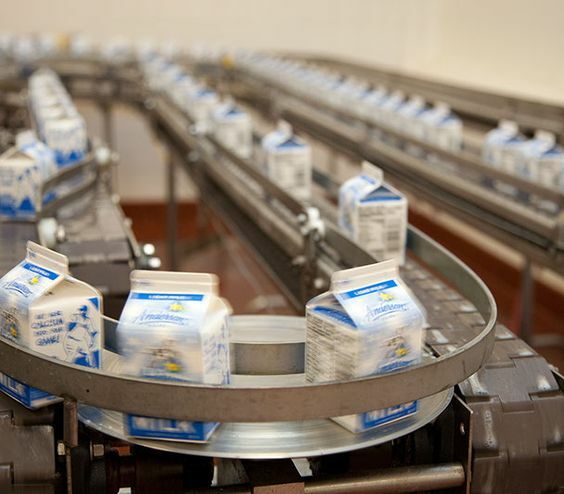 It reminded me quite a bit of the Tillamook Cheese Factory here in Oregon, except it will mostly be milk and not cheese. If you also like to see how things are made and headed to Vegas, don't forget to stop into Ethel M's Chocolate Factory Store. Okay, so this is absolutely my splurge item for this trip, but I've been waiting for it to open for at least 3 years now. The Haunted Museum is run by Zak Bagans of Ghost Adventures, which I detest as a show, but love as an idea for a museum. 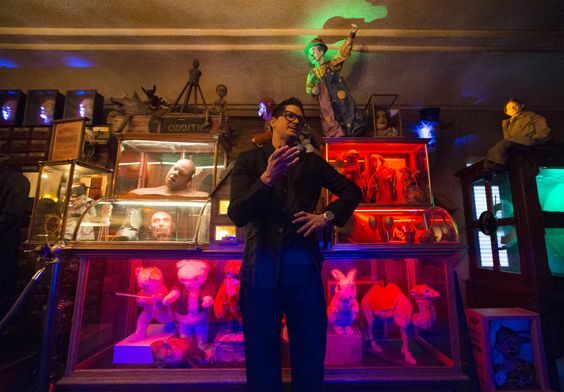 He has filled a historic home in Downtown Vegas with all the items he's collected over the years from his ghost-hunting journeys. Admission is steep at $44 per person, but you get to see terrifying items like the Dibbuk Box, which is said to be a containment unit for a demon. Now, I'm afraid of a lot of things, but I've been excited to visit this museum since I heard it was opening...and then there were no real updates until it was finally open. Obviously, these won't be the only things I visit while in town for the week, between basketball game and trips to the lazy river, but these on top of my list for sightseeing and eats. Tell me your favorite places to visit when in Las Vegas that you think I should experience!